Losing precious data is the kind of scare you don’t really think about until it happens. You go to look for a photo or an old message on your iPhone, and recoil in horror when you notice that it’s gone. It’s surprisingly easy to delete text messages or iMessages on your iPhone. One wrong swipe, and you’re out of luck. A lot of the time, these messages aren’t something we need to access a day or more after we send or receive them, but that’s not always the case. 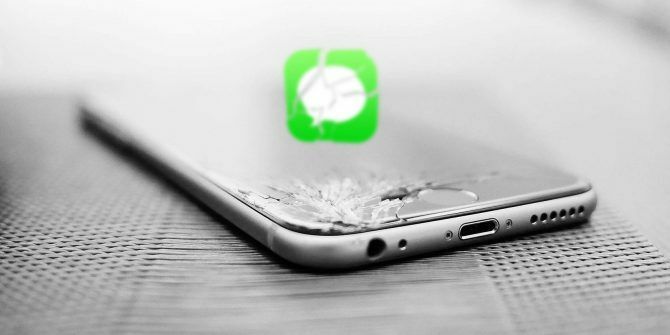 Fortunately, it’s not impossible to recover deleted text messages from your iPhone or iPad. Let’s take a look. If you have iCloud Backup turned on, you can restore deleted text messages, but it’s not easy. 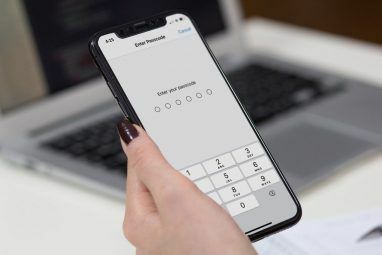 You have to fully reset your phone, then restore from backup How to Restore Your iPhone or iPad From a Backup How to Restore Your iPhone or iPad From a Backup Here's what you need to know when it's time to restore your iPhone from backup. Here are the best methods, tips, and more. Read More . This obviously isn’t ideal. Should you decide to do this, visit Settings > General > Reset and choose to erase your phone. Remember that you’ll need to restore a backup created before you deleted the messages, which may cause you to lose other data if you haven’t backed up in a while. Fortunately, you can check to see when you last backed up before you resort to drastic measures. Go to Settings, then tap your name at the top of the screen. From here, scroll down to iCloud Backup. Hopefully, the slider is set to On. If it is, tap on the iCloud Backup label. Here, beneath the button that reads Back Up Now, you’ll see the last time that the phone backed up to the cloud. Unfortunately, you can’t see a full history of backups. Backups from iTunes are much easier to restore. That said, not many people manually back up to iTunes these days. However, this option is easy as long as you made your last backup before you erased the messages. If you synced after the messages were deleted, you’re out of luck. To restore from iTunes, plug your iPhone into your computer. iTunes should automatically launch. After a while, you should see your iPhone pop up in the menu on the left side of the screen. Once it does, click Summary in the Settings section of the menu. If you have backups enabled, you should see the option to Restore Backup under the Backups section of the main screen. This is a long shot, but sometimes your cellular provider will have a backup of recently sent and received messages. This won’t work for iMessage, but it may work for MMS or SMS messages. This should be your absolute last resort, as it’s far from something you can count on. If it’s just a key piece of information, you could always try contacting the person you talked to. While you’ve lost the conversation, they might not have. Again, this isn’t something you should count on. But if you’re looking for the address of a certain appointment or similar information, it may be worth trying. If you’re looking to recover deleted texts and you haven’t made a backup, your choices start to thin out. There are plenty of apps that promise to retrieve deleted text messages and other data, but they aren’t magic. Many third-party recovery apps are free, or at least they seem that way at first. Install them, and it turns out that in order to actually do anything, you’ll need to pay up. The price usually isn’t cheap. Once you’ve paid up, there is no guarantee these apps will actually recover deleted text messages for you. There’s a better than slim chance that they won’t do you any good at all. Not all these apps are shady, but many of them come from companies that are looking to cash in on people desperately searching for their deleted messages. If you’ve run out of options and aren’t sure how to recover deleted text messages any other way, one of these apps may be your only option. In that case, be careful and research a few apps before you settle on one. If you can, look up reviews from people who have actually used the products. Don’t trust reviews on the software’s website. If something seems too good to be true, it probably is. 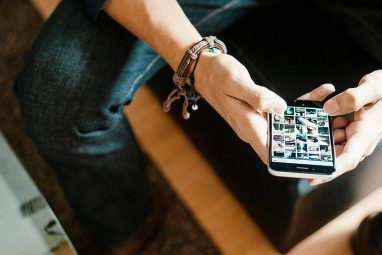 It used to be somewhat easier to recover deleted text messages on Android phones How to Recover Deleted Text Messages on Android How to Recover Deleted Text Messages on Android Recovering text messages on Android is tricky business. Let's discuss the limitations, your options, and how to back up for the future. Read More using apps like Recuva, since they could access the phone as a USB Mass Storage device. But newer Android phones don’t work this way, and neither does the iPhone. Instead, the app needs to access a database on the phone in order to recover text messages. This narrows your options considerably. If you don’t want to spend any money, your options are even fewer. 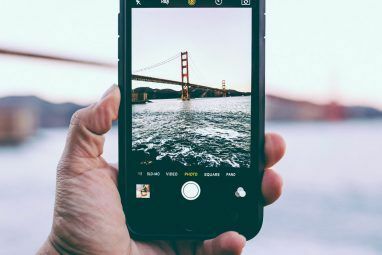 Apps like Gihosoft iPhone Data Recovery will let you view some information about your texts using the free version, but you’ll need to upgrade to the pro version to actually recover them. Remember, this is assuming your messages aren’t gone for good, which is entirely possible. The pro version of that software costs $60, which is a lot of money for something that offers zero guarantees. The free version may be worth it if you’re not sure how to see deleted messages on iPhone to make sure they’re there, but again, no promises. If you’re reading this, chances are it’s too late to get your deleted texts back. Still, backing up is the best bet to keep your data safe. There are a few different ways to do this, but the easiest is to use the iCloud backup built into iOS. If you haven’t already turned this on, you should as soon as you can. As an even safer option, you can opt for redundant backups. This means using another backup method in addition to iCloud backup. The easiest option here is to occasionally plug your phone into your computer and use iTunes to back up your phone. Not sure how to back up your iPhone? That’s no problem. Take a look at our complete walkthrough of how to back up your iPhone or iPad How to Back Up Your iPhone and iPad How to Back Up Your iPhone and iPad What would you do if you lost your iPhone tomorrow? You need to have a backup plan, and we'll show you how to back up to iCloud or iTunes. Read More . Explore more about: Cloud Backup, Data Backup, Data Recovery, iCloud, iPhone Tips, SMS.